Canon’s two new EOS cameras 800D and 77D combine the sensor technology of the 80D model with the latest image processor Digic 7. The result is blazingly fast autofocus in Liveview: only 30 milliseconds. The autofocus system utilises 45 AF points of cross type. The two cameras share the same technology. They do, however, differ externally. Canon EOS 77D offers more external functions like an info screen located at the top, ring and buttons. 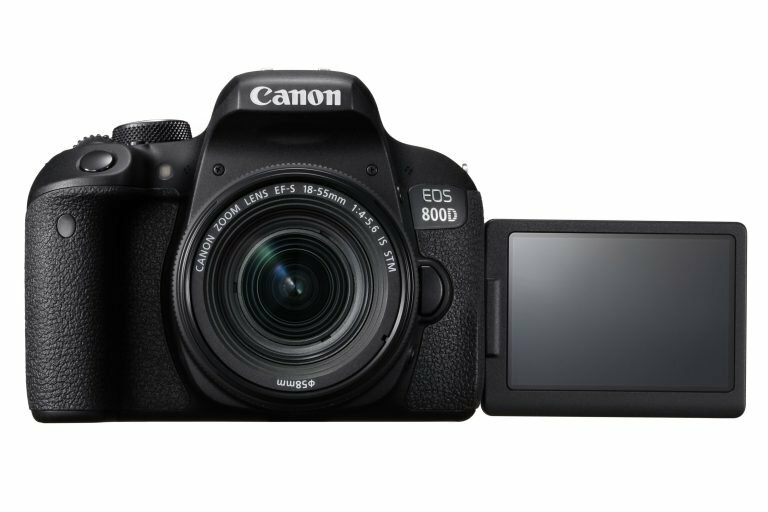 The Canon EOS 800D is somewhat less complex in terms of external features. Both cameras employ the 24.2 MP APS-C sensor introduced by Canon EOS 80D. The maximum ISO is 51,200 ISO in extended mode. The cameras record in full-HD 1080p/60 format and there’s one mode for HDR-recording. They are capable of shooting 6 fps, which is one shot less than EOS 80D. Canon EOS 800D and 77D support connectivity with both Wifi and NFC, which means that the Canon’s mobile apps can be used to transfer photos and videos to mobile devices like smartphones and tablets. Canon has also released the remote control BR-E1, which is handy for controlling the camera remotely using Bluetooth for distances up til 5 metres distance. The month of February has been busy for Canon. The Japanese tech giant has recently also announced a new mirrorless camera EOS M6 and a new lens 18-55mm/4–5,6 IS STM. Canon New Zealand hasn’t communicated a recommended retail price yet for the new products. One, therefore, has to look at overseas markets for an indication of local pricing. Canon EOS 77D has a recommended retail price for the body in the US at US$900, which converts to approximately NZ$1,460 inclusive of GST. Adding the new 18-55mm/4–5,6 IS STM lens to the body yields a price of NZ$1,700. Canon EOS 800D is slightly more expensive at NZ$1,540 inclusive of GST. Both cameras will be released at the end of March.